Hey everyone, as you all know today marks the first day of Black History Month, a month where we celebrate all things black (but of course we should do this 365 days a year, 24 hours a day, 7 days a week). Today will also be the first of our weekly blog posts on #BlackExcellence – a series of short and concise posts that will educate you on people who have done or are doing revolutionary things for black people and more generally, the human race. Once a young delinquent, inspired by the rough streets of Harlem, it would be hard to imagine that Malcolm X would become the renowned fiery, controversial and opinionated figure he is known as today. After an unsuccessful burglary, Malcolm Little served a 10 year sentence; During his time in prison he came into contact with the Honourable Elijah Muhammed and henceforth grew to become a passionate preacher of the Nation of Islam and once out of prison climbed the ranks to become a Minister for the Nation. -He first changed his surname to ‘X’- denouncing Little as the name of a slave owner and therefore, a name not belonging to him. Then later adopted the name Malik El-Shabazz after a journey to Mecca. -He quickly became a prominent figure in the media for his controversial views and statements; often referring to Caucasians as ‘blue eyed devils’ and sharing the belief that African Americans needed their own state to be able to prosper socially and economically. -While a nation of Islam minister, he agreed with the philosophy that stated black people were the original people of the Earth and that white people were created by a scientist called Dr Yakub. -After parting ways with the Nation of Islam and leaving for a pilgrimage to Mecca, his view of white people changed and he became more open to the view that all Caucasians are not inherently racist. 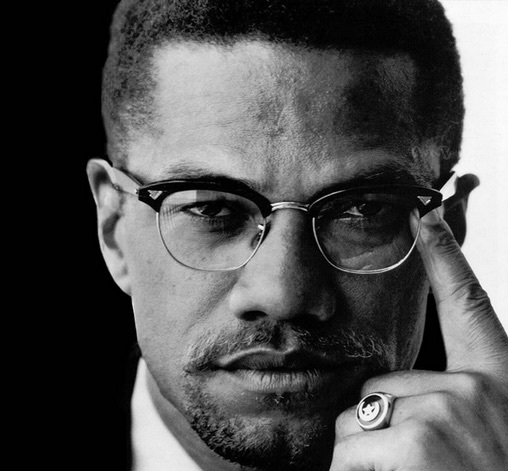 “It isn’t the American white man who is a racist, but it’s the American political, economic and social atmosphere that automatically nourishes a racist psychology in the white man.” – a quote from Autobiography of Malcolm X. -Malcolm X was assassinated on the 21st of February 1965 at the age of 39, leaving behind a wife and six children. https://www.youtube.com/watch?v=ENHP89mLWOY – The name ‘Little’ as a slave master’s name. We hope you enjoyed this short post on this legendary man! Please feel free to send in any suggesstions for next week’s Black Excellence.